By bringing in someone with a loose connection to superheroes and looking for their big break, it’s been suggested that this could be Marvel’s way of keeping tabs on what’s going on and not to let Black take total control. This one could go either way, what do you guys think? I hope that IronMan 3 would be the same as the first IronMan movie. Not like IronMan2 which is very thirsty to watch because the climax in at the end of the move. 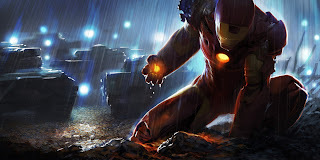 Good luck with the IronMan3 hope it would be good.